Thomas Kurfess will spearhead ORNL’s development of new manufacturing platforms and control systems to enable autonomous manufacturing through robotics and controls. Scott Smith is joining ORNL to lead advanced machining and machine tool research efforts. OAK RIDGE, Tenn., Nov. 27, 2018—Two leaders in US manufacturing innovation, Thomas Kurfess and Scott Smith, are joining the Department of Energy’s Oak Ridge National Laboratory to support its pioneering research in advanced manufacturing. Kurfess and Smith’s expertise in control systems and machine tooling expands the capabilities of DOE’s Manufacturing Demonstration Facility at ORNL, and their broad experience with industry, academia and the public sector will enhance lab partnerships and promote adoption of new technologies by US manufacturers. Kurfess also serves on the boards of directors of the National Center for Defense Manufacturing and Machining and the National Center for Manufacturing Sciences. He is on the board of trustees for the MT Connect Institute and is the 2018 president of the Society of Manufacturing Engineers. He will also serve on the board of governors for ASME starting in 2019. Kurfess is a Fellow of American Society of Mechanical Engineers (ASME), American Association for the Advancement of Science (AAAS), and the Society for Manufacturing Engineers (SME). 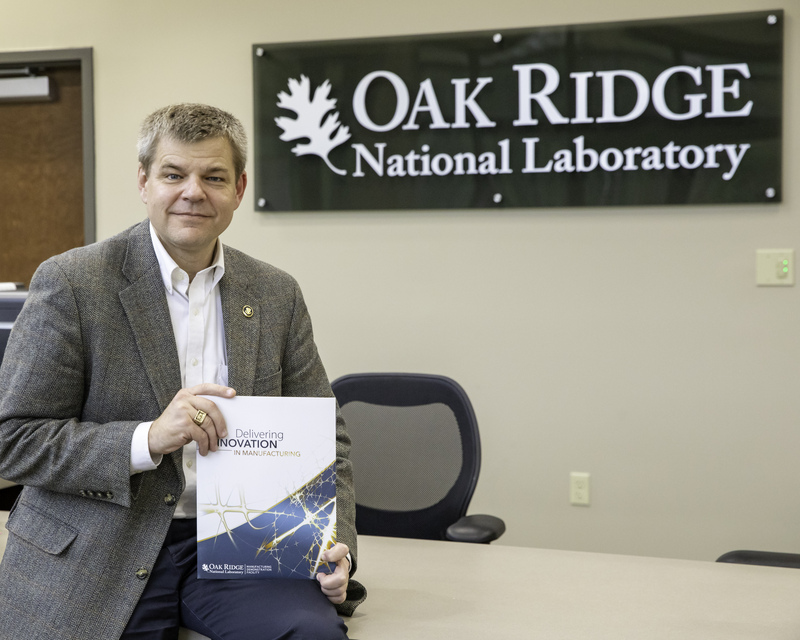 Smith, professor and chair of mechanical engineering at the University of North Carolina at Charlotte, will lead ORNL’s advanced machining and machine tool research, focused on developing the systems, processes, sensors and controls needed to reinvigorate the US industrial base and bolster national security. Smith was recently honored by ASME with the William T. Ennor Manufacturing Technology Award for his “innovations in the field of machining dynamics that have been commercially implemented, leading to significant improvements in machine tool performance and enabling the creation of thin monolithic machined structures in a variety of industries." Smith’s teaching and research areas include high-speed machining, process optimization, and machine dynamics. Prior to his work at the University of North Carolina and joining ORNL, Smith served as the assistant director for technology at the US Advanced Manufacturing National Program Office. He holds 11 patents and is one of 17 US Fellows of the International Academy for Production Engineering (CIRP). He is a fellow of both SME and ASME. The Manufacturing Demonstration Facility at ORNL is supported by the Department of Energy’s Office of Energy Efficiency and Renewable Energy, Advanced Manufacturing Office (AMO). AMO supports early-stage research to advance innovation in U.S. manufacturing and promote American economic growth and energy security. UT-Battelle manages ORNL for the Department of Energy’s Office of Science. The Office of Science is the single largest supporter of basic research in the physical sciences in the United States and is working to address some of the most pressing challenges of our time. For more information, please visit http://science.energy.gov/.